Like a well-timed crane kick, Cobra Kai pretty much came out of nowhere to wallop audiences in the face. 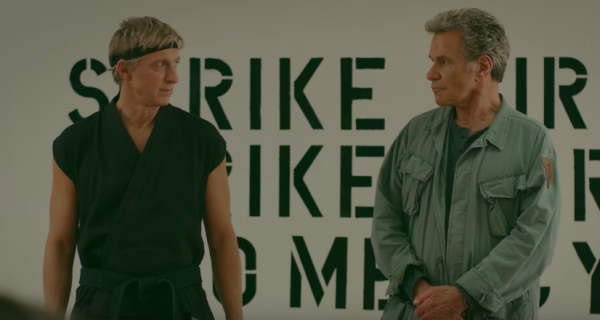 As someone with practically zero nostalgia for The Karate Kid, I didn’t expect much from Youtube Red’s sequel—set 30 years after the original 1984 film—and was surprised to find that not only did I love it, but the series was an intelligent look at getting older, staying young, and the effects the toxicity of your past have on the person you become. Plus, it’s funny as hell, and a bunch of kids elbow each other in the face. Best of both worlds. Season 2 continues the story of Johnny Lawrence (William Zabka), tentatively trying to spearhead a new generation of the Cobra Kai dojo while his main pupil Miguel (Xolo Maridueña) slips further into darkness and his son, Robby (Tanner Buchanan) trains under old rival, Danny LaRusso (Ralph Macchio). Things take a turn for the worse with the return of John Kreese (Martin Kove), the Cobra Kai sensei from Johnny’s past who taught him everything he knows — for the worse. While at WonderCon in Anaheim, California, I sat down to discuss the series with Cobra Kai stars William Zabka, Martin Kove, Xolo Maridueña, and Jacob Bertrand, along with executive-producers Jon Hurwitz, Hayden Schlossberg, and Josh Heald. Check out what they had to say in the player above, and below is exactly what we talked about. What they took away from season 1 that they wanted to specifically apply to season 2. 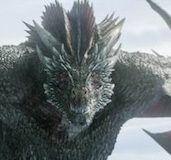 How they go about making the many fight scenes serve the story. The best stories of near-misses and fight scene accidents on set. What the return of John Kreese means for season 2. How playing Johnny and Kreese after 30 years has made Zabka and Kove think about these characters in different ways. What pop culture is missing without the presence of martial arts movies and TV shows.